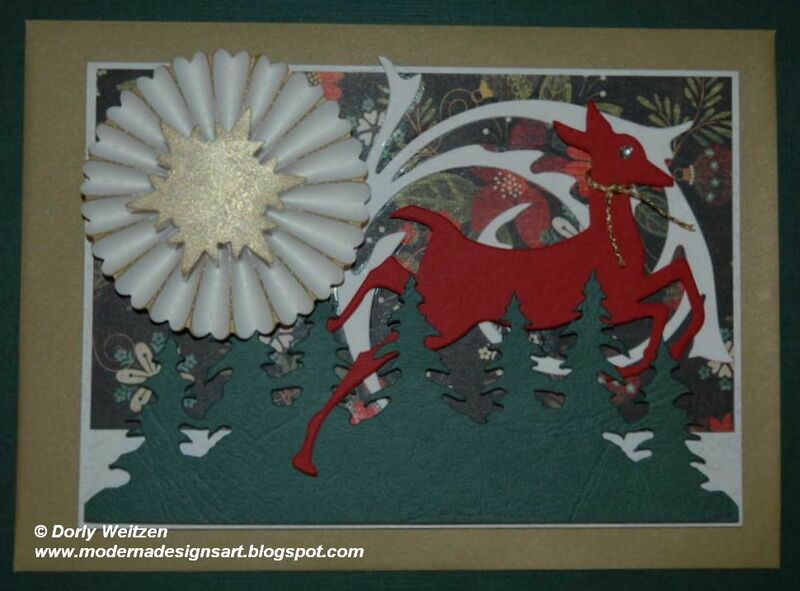 I made this Christmas card using a few of Tim's die cuts. The colors are quite traditional. I like the BG background paper, and it seems that the golden snowflake add some glam. Most items were glued 3D for extra dimension.